Welcome to a new podcast featuring some of your favorite Films from the Basement crew members. We have so much fun talking about films each week, we decided we need more. Thus, Films from the Treehouse is born. Where Basement delves into some of the more unknown, obscure, or just downright terrible films, Treehouse will be something different. Each month we’ll have a theme and pick all sorts of films for discussion. Come have a listen and we’ll tell you more about it. First up is Predators! It is available both on Blu-ray and digital. Synopsis: Robert Rodriguez presents a bold new chapter in the Predator universe. 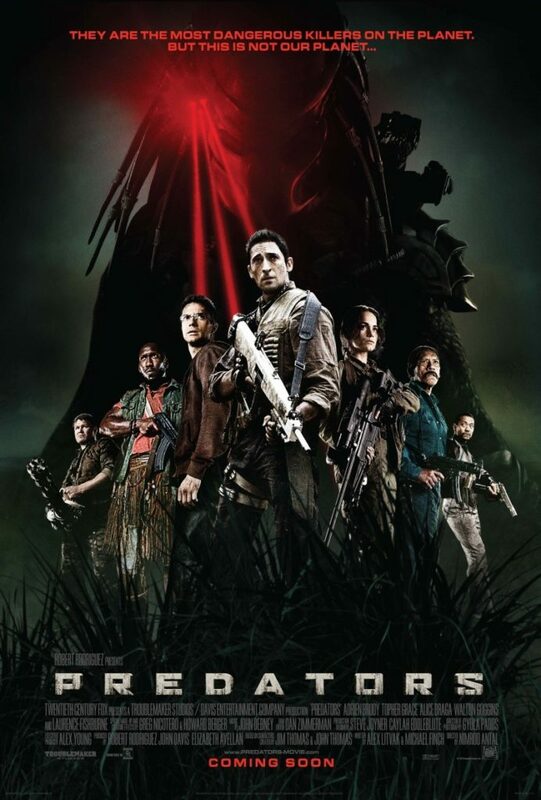 The film stars Oscar-winner Adrien Brody (The Pianist) as Royce, a mercenary who reluctantly leads a group of elite warriors who come to realize they’ve been brought together on an alien planet… as prey. With the exception of a disgraced physician, they are all cold-blooded killers – mercenaries, Yakuza, convicts, death squad members – human “predators” that are now being systemically hunted and eliminated by a new breed of alien Predators. The Unicorn & The Dozer: Episode 25 – Our New Favorite Humans!